Let’s face it… it’s a pretty simple process. Put dirt in a pan; add water, shake, and wash. Regardless of where you are, the gold you have, the dirt you have, the process really hasn’t changed much for over 500 years. Different shapes of pans, materials, designs, colors, techniques, etc, really haven’t … “CHANGED” gold panning all that much. 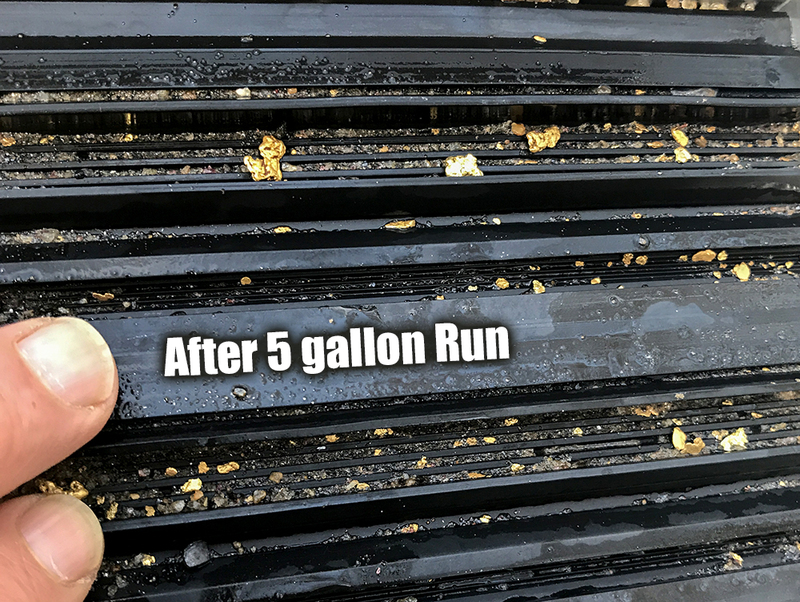 That is until this year thanks to GoldHog’s® new FLOWPAN™. Those that have tried it all say the same thing. 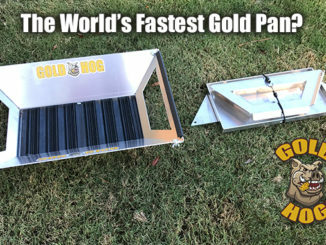 Not only is a totally DIFFERENT FEEL to gold panning, but it is really, really fast. 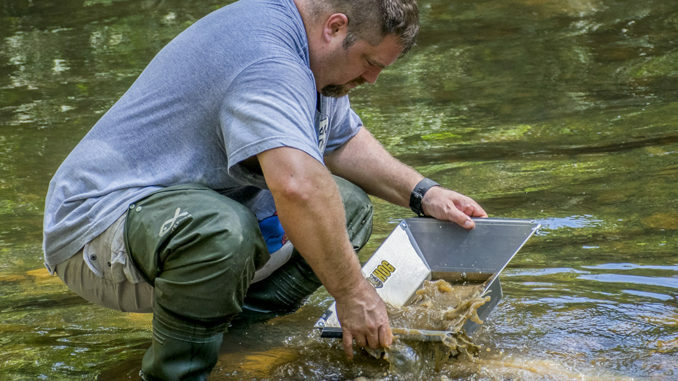 One of the drawbacks of normal gold panning is that it is a slow process. 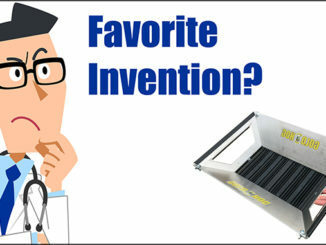 After THREE YEARS of playing with prototypes and designs Doc, the inventor, knew he had a winner when the final FLOWPAN™ hit his hands. 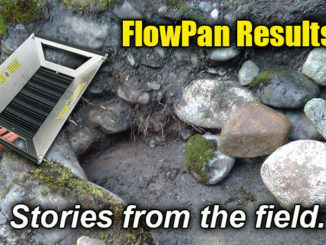 The new FLOWPAN™ has several key features. The pan is totally portable. While it’s large in its assembled state, simply remove 6 wingnuts and it breaks down small enough to fit into most glove boxes or day packs. 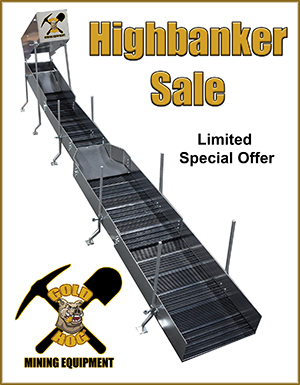 It’s STRONG… it comes with a lifetime warranty and is made from heavy 12 gauge aluminum. It can easily hold 20 pounds of raw pay. 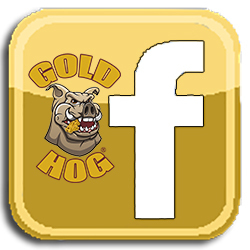 The pan uses GoldHog’s patent pending cross flow technology. This cross flow cleaning action comes from having the ends of the pan open which allows water to flow THROUGH the pan. 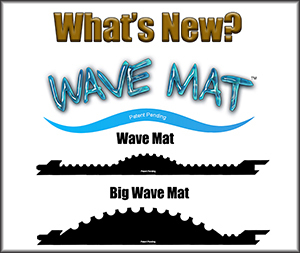 This cross flow gently washes out non-gold material and rocks while the matting in the bottom grips the gold. It’s FAST… really fast. 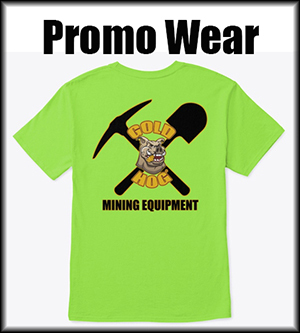 Take a large shovel full of unclassified pay / dirt and dump it into the pan. Face DOWN STREAM. Spin and shake the pan for 5-8 seconds. Now turn 45 degrees and allow the stream flow to flow THROUGH the pan while moving back and forth. This takes roughly 5-8 seconds. A 5 gallon bucket of pay, unclassified, can be worked in roughly five minutes. That’s even quicker than many stream sluices when you remove the need to classify. 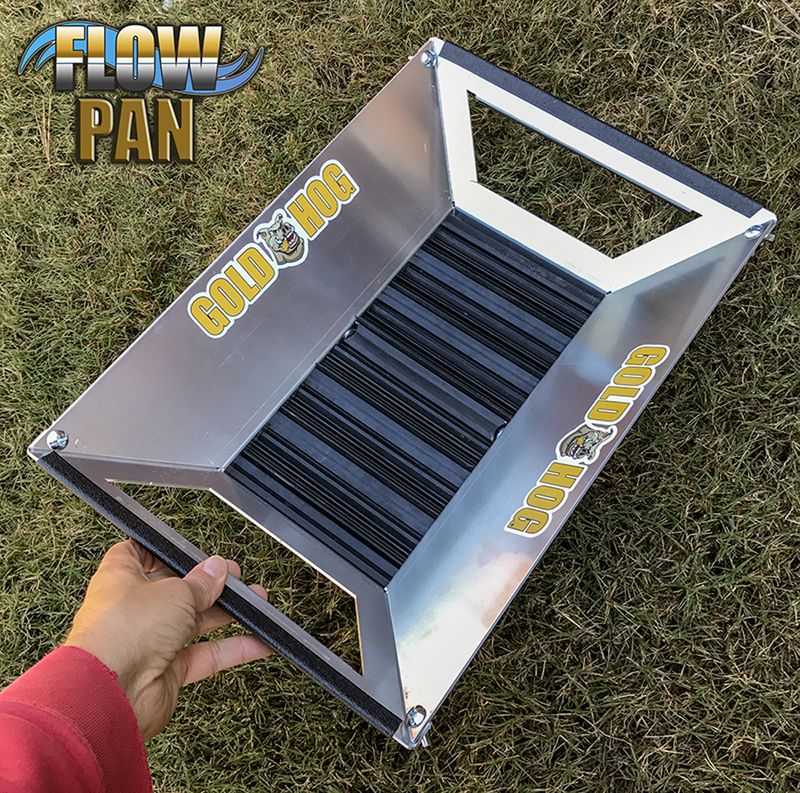 Doc was SO… impressed with the FLOWPAN™, he immediately decided to put a 100% satisfaction guarantee on it. Use it for 30 days and if you’re not totally impressed… return it for a refund. Pretty strong. The new FLOWPAN is so effective according to DOC, that many prospectors that would normally carry a stream sluice with them on their journeys, will leave that behind and just pack in the pan and a small shovel. With those basic tools he says that one person can work ½ a yard / ton of pay in just 4 hours. DOC says the pans will be in stock Jan 1st 2018 or sooner.